This is the entertaining season. Whether it is holiday gatherings with your family or football parties to watch your favorite team, you'll be needing a go-to dip for a satisfying appetizer or snack. 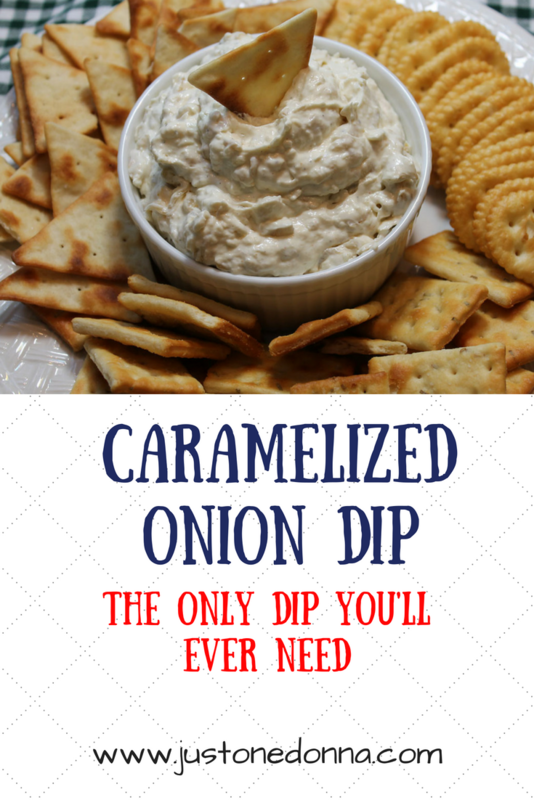 I've been making this caramelized onion dip for years and it is the hands-down favorite of all my dips. I swear to you that if you bring this dip to a party it will be the first to go and you will be asked to bring it to every party you attend from now to eternity. 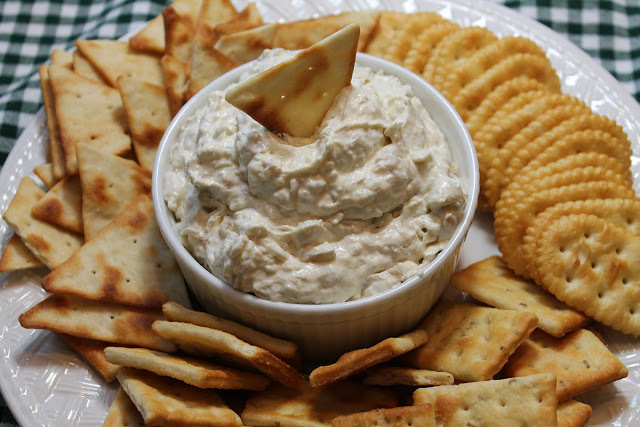 It's a good thing this is a pretty easy dip to make. 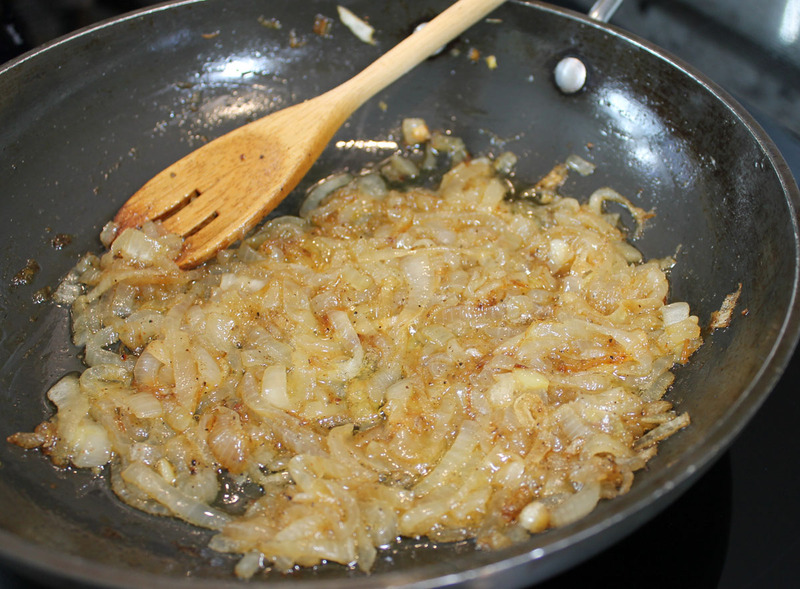 The only real effort is in making the caramelized onions and that's because it takes a little time to get a proper caramelization. You don't want to rush it. It takes about 45 minutes for the onions to develop their sugars and to reach a brown, yummy color. If you make the full recipe you will have enough for a big party or enough to serve now and freeze for later. Yes, you can freeze this dip. I do it all the time, so I always have a dip ready to go during this busy time of year. Don't make this dip the day you will be serving it. Trust me on this. 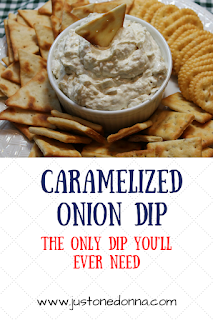 Caramelized onion dip gets better as it sit in your fridge. You definitely want to make it the day before you need it. Three days before you need it will be even better! You also might want to skip the cayenne pepper. Don't do that either! Cut onions in half and slice thinly. Heat butter in a large frying pan over medium heat. Add onions, cayenne, salt & pepper and saute for 10 minutes, until softened and translucent. Reduce the heat to medium-low and cook the onions, stirring occasionally for 20-40 minutes more, until the onions are deeply browned and caramelized. Chop the onions with the back of your spoon when you stir them. Don't rush the cooking. Cool the onions completely. Beat cream cheese, sour cream, and mayonnaise together until smooth. Add the cooled onion mixture to the cream cheese mixture and mix well. Chill for a couple hours, or overnight prior to serving. This dip gets better after sitting in the refrigerator, so make it a day, or more, ahead of when you will serve it. 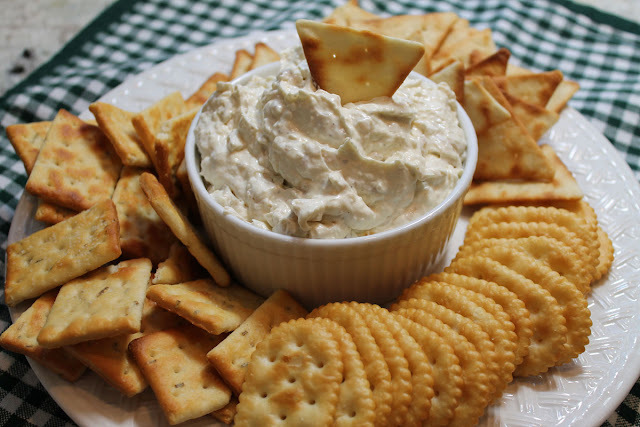 Serve with potato chips, crackers or toasted French bread slices.